Amazon.com Price: $39.88 (as of 2019-04-25 14:27:46 GMT) Product prices and availability are accurate as of the date/time indicated and are subject to change. Any price and availability information displayed on Amazon.com at the time of purchase will apply to the purchase of this product. 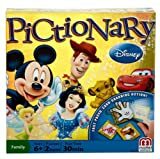 Disney Pictionary is the all new way to play in the world of pictures! Players can draw, use charades or make sound effects to give clues for opponents to use the slap hands to grab the correct card. A Disney Twist on the Classic Game! The best way to play the classic game of Pictionary — hands down! 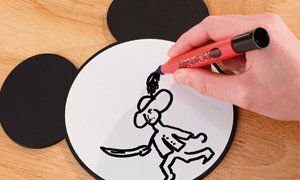 Disney Pictionary brings all the magic and fun of your favorite Disney characters to the classic game of quick draw! The entire family will enjoy hours of fast-paced, card-grabbing action, thanks to the “all play” game modes, cute Mickey slap hands, and 200 cards featuring more than 400 clues with beloved Disney friends. Plus, this exciting version adds charades and sound effects into the gameplay! 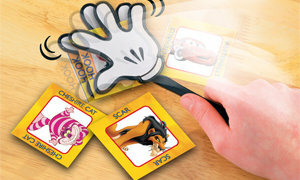 Designed for two to four players, Disney Pictionary is great fun for all. Divide players into two teams. During each round, the picturist for each team selects nine cards from the deck, secretly chooses an image, and lays them down. Both teams participate in the round, and a roll of the die decides whether the picturists will draw clues on their Mickey-shaped boards or act out them out. To adjust the level of difficulty, you could choose to lay down 12 cards or six. Players are encouraged to get creative when acting out clues. Use sounds, gestures, noises, humming, and even singing! Think you know the answer? Don’t just shout it out — grab the correct card with the Mickey slap hand (designed with suction cups), and you’ll score a point for the team. Be the first team to reach seven points, and you’ll win the game! 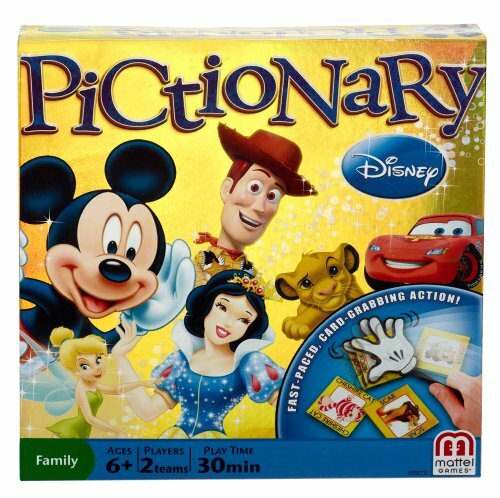 Young kids, grandparents, and everyone in-between will love playing Disney Pictionary. Game includes 200 picture cards, four slap hands, two Mickey-styled dry erase boards, two dry erase markers, one die, one wipe cloth, and instructions. With more than 400 clues and 3 ways to communicate, the entire family will have hours of fun with their favorite Disney icons. Barbie 2-Story Beach House $20 v $42.99 – HOT DEAL! Disney Planes Wing Control Dusty Crophopper Radio Control Plane – Lightning Deal!